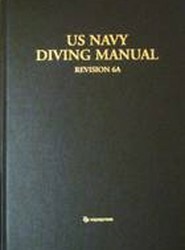 Over the past 60 years the U.S. Navy Diving Manual has been recognized internationally as the standard for diving tables. This manual has become one of the most comprehensive manuals on all diving operations, including air and mixed gas tables, closed and semi-closed circuit operations, diving medicine and recompression chamber operations. Fully updated and revised. 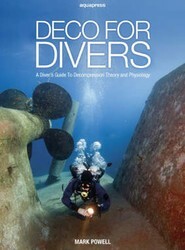 Award winning Deco for Divers provides a comprehensive overview of the principles underlying decompression theory. This book bridges the gap between introductory books and source scientific information. 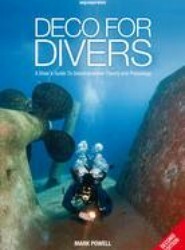 It provides the reader with a clear understanding of the decompression principles which apply to every dive. Offers a comprehensive overview of the principles underlying decompression theory. This book bridges the gap between introductory books and source scientific information. Written by a technical diving instructor, it teaches about decompression theory. It offers an understanding of what is happening during decompression dives.